Replacement main board set for a Tarot 680pro hexacopter. 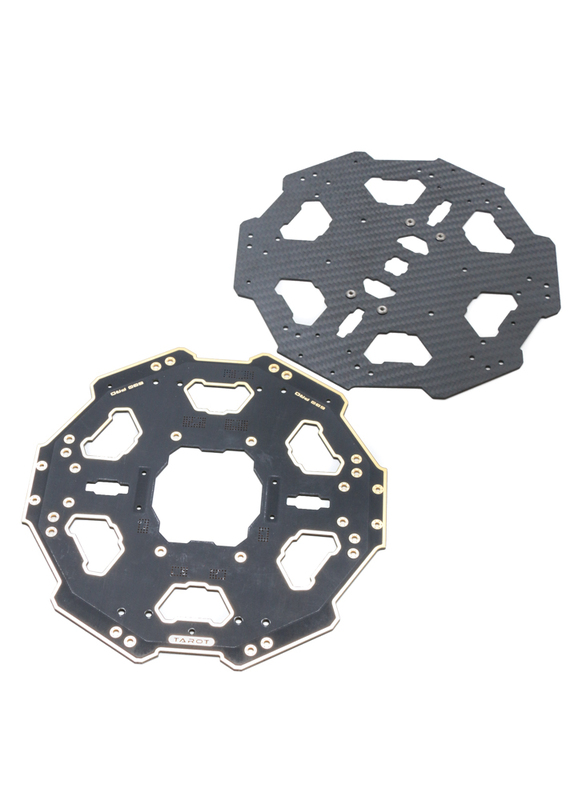 The top plate is made of glass fibre and features an integrated PCB with ESC gold plated connections. The bottom plate is made from high quality 3K carbon fibre. As well as being a spare, the frame boards could also be used to add an additional deck to the 680 Pro, to carry for example a battery. Please Note: The plates are only compatible with the Tarot 680Pro and will not fit the Tarot Ironman 690.